Line up vivid yellow daffodil plants in front of a window. Your room will feel sun-drenched as the light flows through them. Use terracotta clay colors for added beauty and give it all a organic kind of feel. The earliest blooms of the season, crocuses are literal reminders that spring is right around the corner. 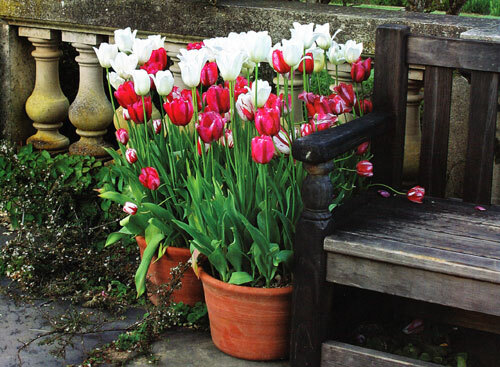 Nestle crocus bulbs in pebbles to hold them upright and provide extra drainage. The stones also work great at soil toppers adding not only a decorative touch but a practical purpose. They help to keep the water in the planter from evaporating faster. 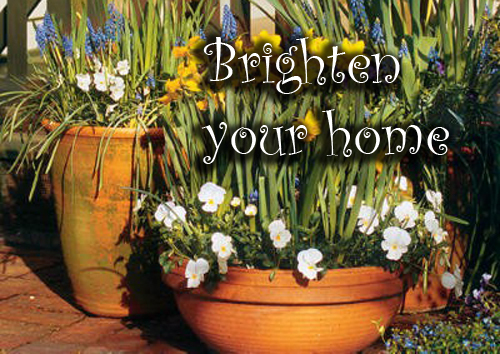 Recycled kitchenware like colanders and casseroles are just right as whimsical containers for a bunch of crocuses. Hyacinth! Watch em grow! 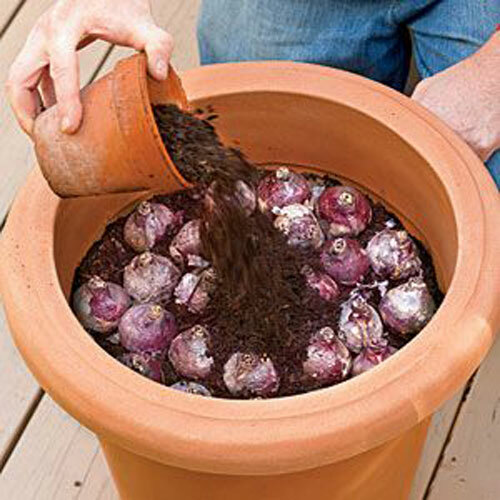 Put out potted bulbs at various stages of growth so you can watch them bloom over time. 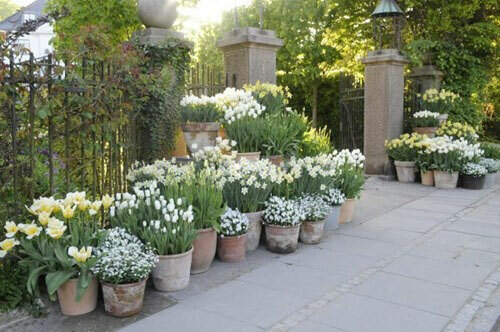 Put your hyacinth pot inside a larger pot and fill with moss for a simple yet elegant centerpiece. Beautiful! These frilly flowers spread their mood boosting scent throughout your whole home. Now is the time to get planting. Read more.....Dining in a pottery kind of style. Read more.....February in the garden.